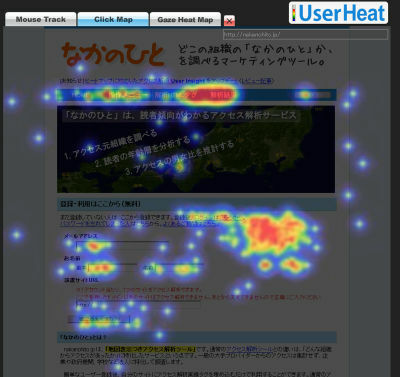 Free web analytics service usually only provides you the basics like which page was viewed how many times, but this "User Heat" provides you three heat maps that shows you which links are clicked, which paragraphs are most read, and how do your users move their cursors on your page for free. The service was launched today by User Local,Inc. in both English and Japanese. Three types of graphical analytics are provided. 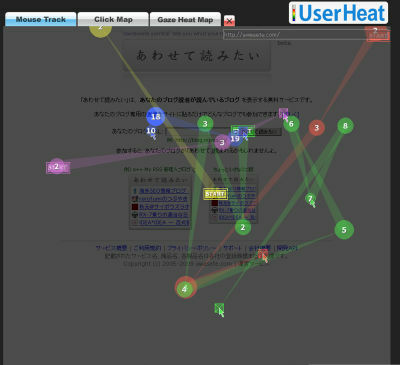 "Mouse Track" will track each user action by mouse movement. 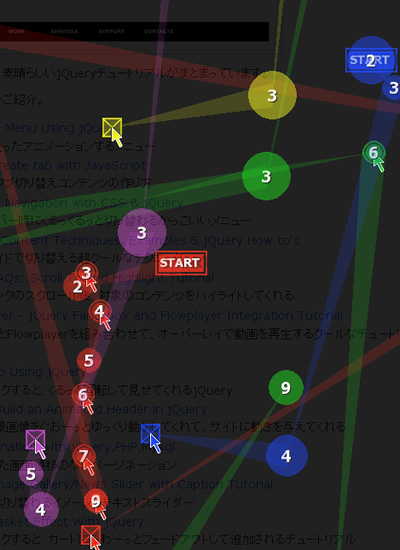 It picks up five users' action and visualise it. 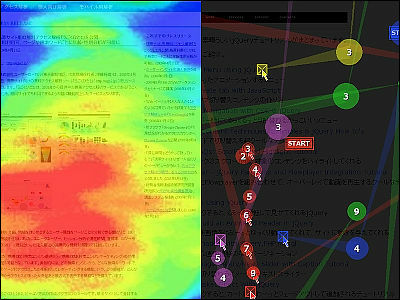 "Click Map" can show you what is popular on your web page. The most clicked area will show in red while the less clicked show in blue. 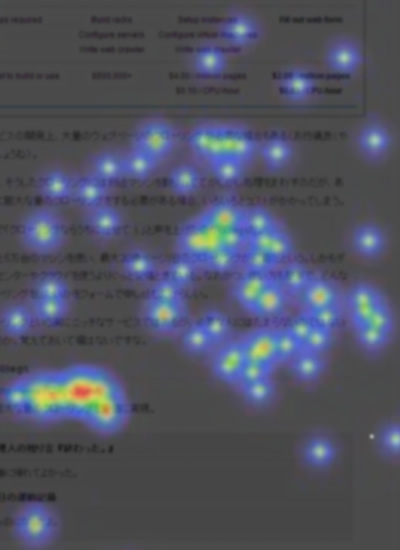 "Gaze Heat Map" will visualise which area on your web page the visitors pay attention to, using their original algorithm combining analysis of visitor's mouse movement and scrolling action with keywords in the paragraphs. After registering and setting up the tool on your website, you can check for free of charge how it is being read by other site visitors. The images will be displayed by overlaying your website. This result will be open to the public including the people who are visiting your site, which must be the main difference from similar pay-services. Here are some samples of output results. 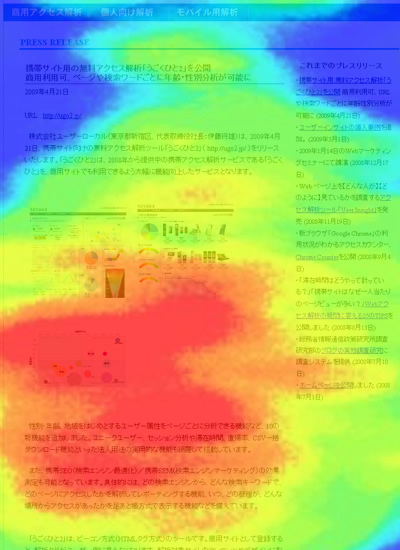 Free Access Analysis Tool with location data "Naka no Hito"